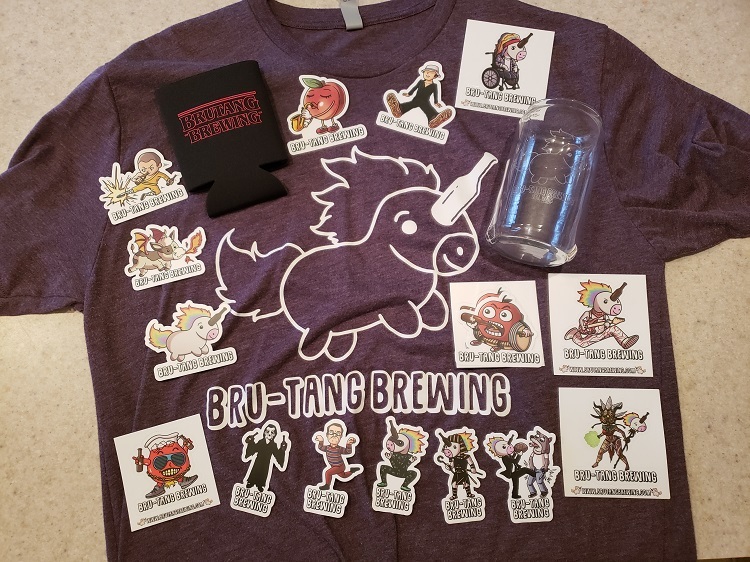 Merchandise Giveaway and Beer News! November 19, 2018 by Nick K.
Must ‘Like’ (or already liked) our Facebook Page. Share this post with the hashtag “#BruTangBrewingGiveaway” and your favorite Bru-Tang Character. Must ‘Follow’ (or be following) our Twitter Page. Retweet this tweet with the hashtag “#BruTangBrewingGiveaway” and your favorite Bru-Tang Character. Must ‘Follow’ (or be following) our Instagram Account. Comment on this Instagram post with the hashtag “#BruTangBrewingGiveaway” and your favorite Bru-Tang Character. That means each individual can have up to three entries into the drawing. By entering you agree to the Holiday 2018 Giveaway Official Rules (entries will run until 11/30/2018 at 11:59 PM EST)! Now for some beer news! This past weekend we brewed up batch two of Ro Sham Bo! Nothing like settling the score for a tasty beverage, and this one is worth every kick. This British Brown is conditioned on Vermont maple syrup, and sure to please! While we brewed we will also bottled up two of our beers. First one to get bottled up was some of that fresh Rado Sesh. Adding El Dorado hops to the Sesh Series turned out to be quite the treat! The other beer to hit those bottles was the experimental recipe Word of the Day “Wheelchair” (formally referenced as ‘Backyard Chata’)! This one is a horchata inspired blonde ale. We’ve got a lot more beers in the pipeline (we actually hit our max capacity after this last brew day until we bottle up some more beers). Tons of beers are coming up soon, so keep your eyes posted on our social media for more updates on when these are ready! Date Updates and Much Beer News!